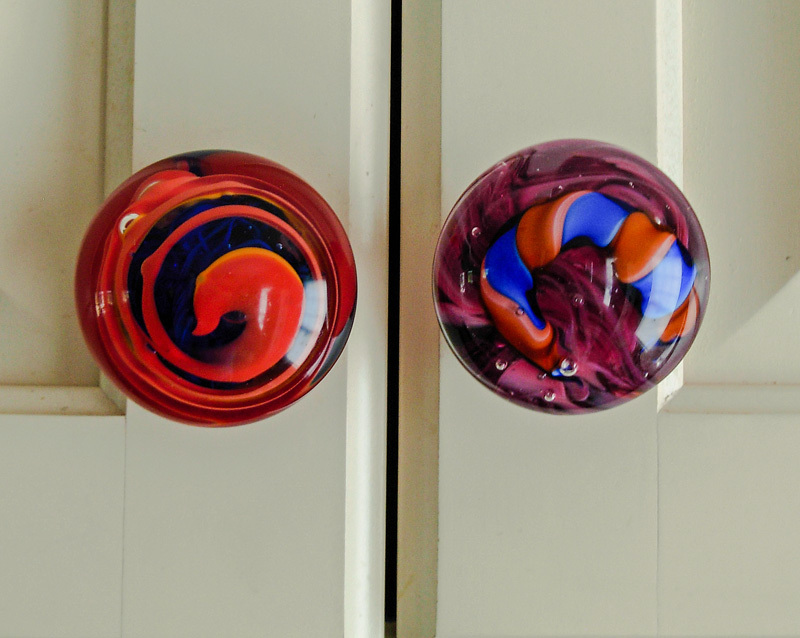 Glass Blower Gathering Molten Glass For A New Piece. 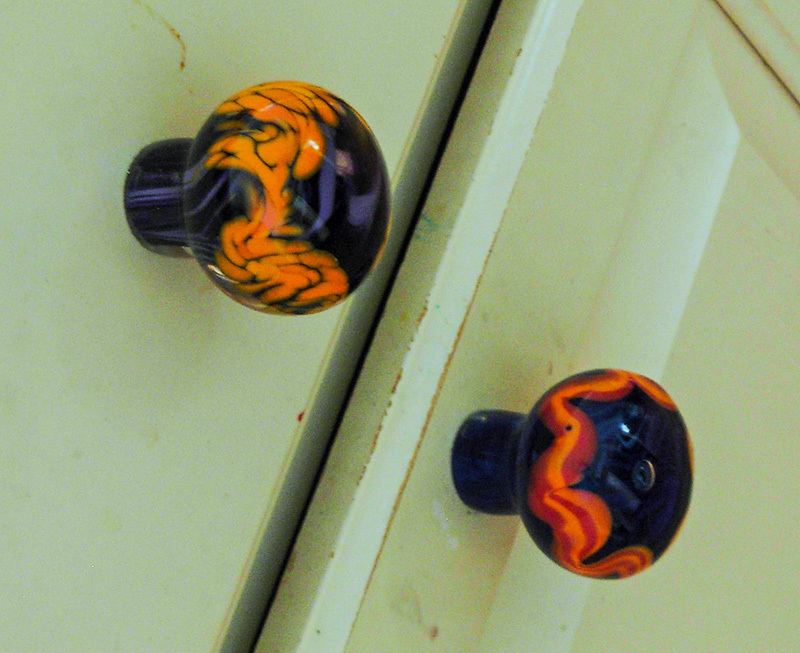 Blowing glass is hot, hard work. 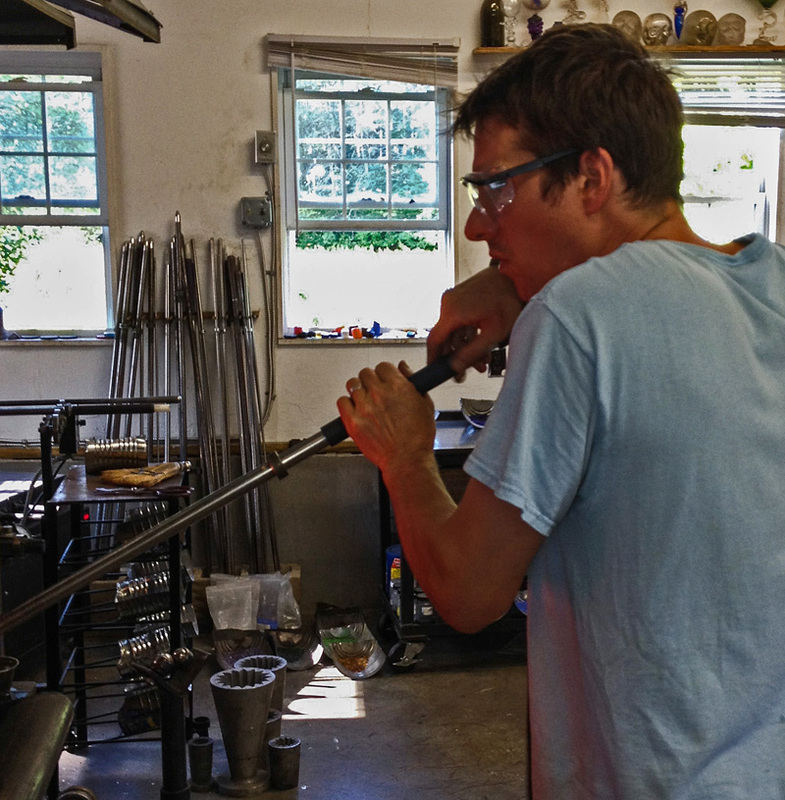 Nathan Macomber collects glass from the “glory hole” to begin a new piece for the Mt. Sunapee Fair. 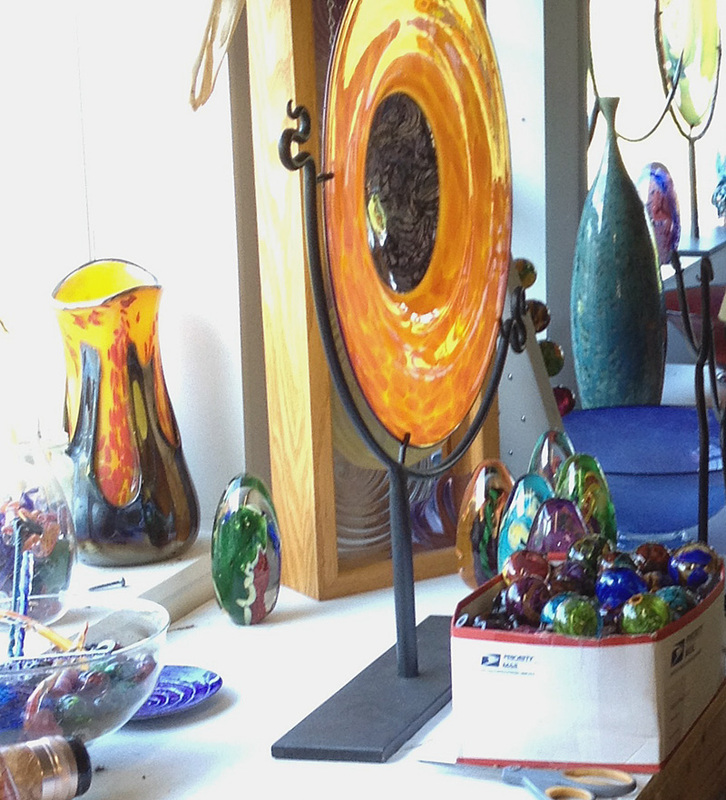 In Nathan’s workshop, the finished glass is ready for packing and transport to the fair. 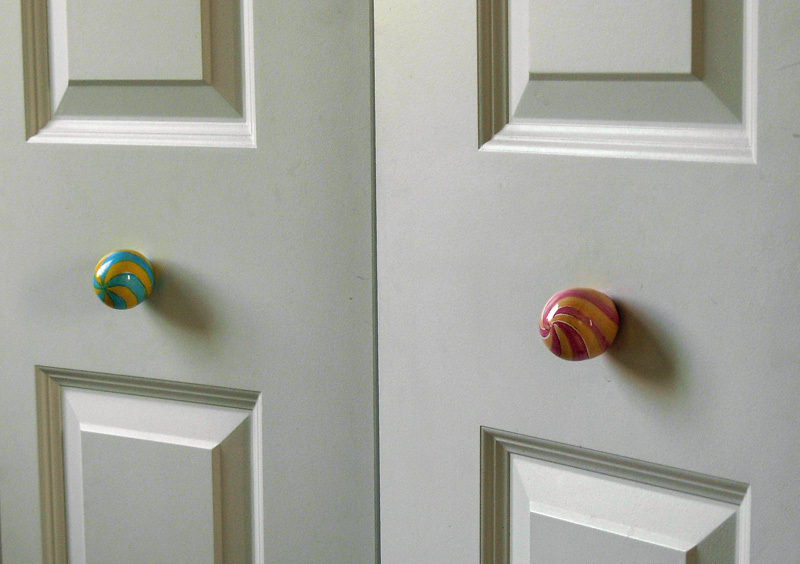 In the lower right of the picture is a box of glass door knobs. 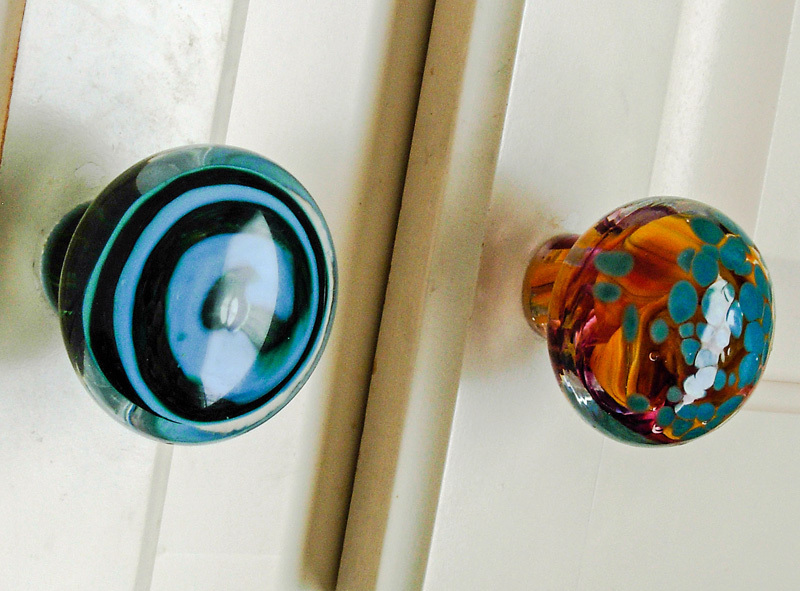 Photos of Nathan’s glass door knobs installed on cabinets in his parents’ house. 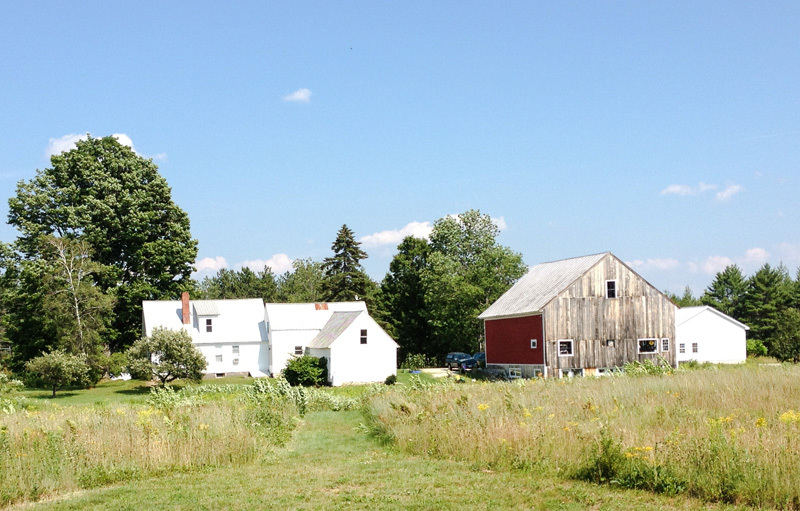 The Macomber Farm in Conway, NH is where Nathan’s workshop and studio are located. He invites you to drop by. This entry was posted in New Hampshire, Places, Travel Blog and tagged Mt. Sunapee Fair, New Hampshire, Photography, Postaweek, Travel, Vacation by carto. Bookmark the permalink.